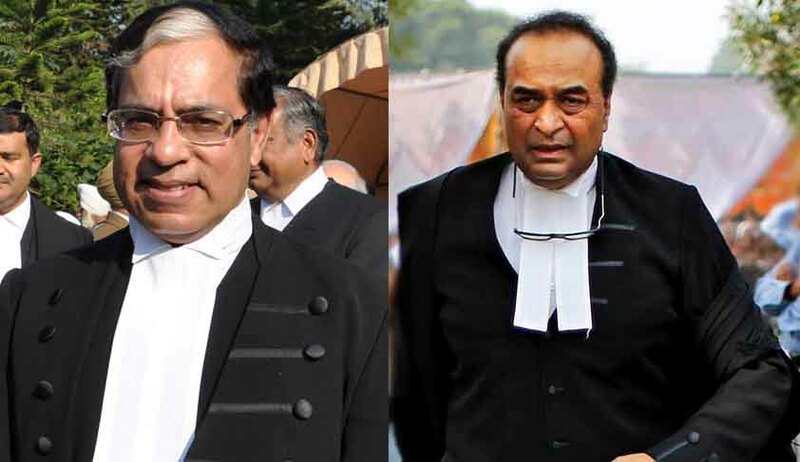 In the ongoing hearing of challenges before the Supreme Court bench of justices A.K.Sikri and Ashok Bhushan, to Section 139AA of Income Tax Act, making enrolment of Aadhaar mandatory for filing Income Tax returns, the Attorney General, Mukul Rohatgi, cited a number of instances, to show that there is no absolute right to bodily integrity. Making a distinction between fingerprints and other invasive procedures, which cannot be administered without the consent of the subject, Rohatgi argued that the former does not involve injecting, and therefore, is not invasive. The examples cited by Rohatgi included regulated trade in body organs, legal restrictions on abortion after 20 weeks, drunken driving etc. Rohatgi argued that there are only two grounds of challenges, namely, breach of the Constitution and legislative competence. There is no doubt at all, he said, that Parliament has the competence to enact the impugned provisions. Secondly, he said, no enactment can be struck down on that ground that it is arbitrary, relying on the Supreme Court’s recent judgment in Rajbala v State of Haryana. Rohatgi then explained that there are 29 crore PAN cards, whereas there are only five crore income tax assessees. The 24-cr PAN card holders, not being assessees, want some kind of identification. Even among the five crore assessees, every body does not pay tax, he said. Justifying the need for Aadhaar enrolment, Rohatgi suggested that secondary documents used for identification are not foolproof. People have multiple PAN cards, there are multiple shell companies, and the mischief could involve Rs.1000 crores, he said. Relying on political philosopher Rousseau, Rohatgi argued that the state is like a corporation, and the invidiuals are its members. There is no harm in using the collective might of the state to provide orderly life, peace, and tranquility , he suggested. Saying that Sections 139A and 139AA go hand in hand, because Section 139A alone was found to be weak, Rohatgi cited other instances where collection of biometric information was legally allowed. “We are not dealing with a demon, but with something which will give you more orderly life”, he told the bench. Referring to the recent leak of Aadhaar data in Jharkhand, Rohatgi said there was no leak from the Central Government. “It was from Jharkhand Government office. It is not as if their biometric was shown”, he said. Rohatgi told the bench that the Aadhaar numbers are just red herrings, and may be public. “Only biometric data cannot be public”, he said. Rohatgi further explained that the right not to have bodily intrusions is not absolute, and has been taken away in criminal cases. Even the Constitutional protections of the rights of the accused can be taken away by law, Rohatgi suggested. At this point, Justice Sikri intervened to say that it is not just Rousseau, but other philosophers like Kelsen, and Dworkin are equally relevant to understand the importance of dignity. A balance has to be maintained, Justice Sikri pointed out. He also referred to the Dworkin-Halt debate, to emphasise his view. Rohatgi then argued that the constitutional protection not to incriminate an accused, can be taken away legally. He further argued that the Supreme Court’s interim order in 2015, restraining the Government not to make Aadhaar mandatory till it decided the challenges to it one way or the other, cannot restrain Parliament from making any law. How can you argue that interim order restrains Parliament; what happens if the interim order is vacated, he asked. Citing more instances, Rohatgi said the absence of the rights to commit suicide, to practise prostitution, and to consume intoxicating drugs, show that there is no absolute right over your body, or abuse your body. Emphasising his view that people want identification, and not remain faceless, Rohatgi described the challenges to Aadhaar as myopic.